Using the GT-610 machine and leveraging the 8-5/8” wide grinding wheel, we were able to use 3 grinding wheel segments with progressively finer grit where the first segment would remove the material by roughing it, the second brought it to size, and the last segment polished the tubing taking a final 0.0003” from the diameter, all in one pass. The machine had the advantage over the exiting much larger Cincinnati grinding machine. 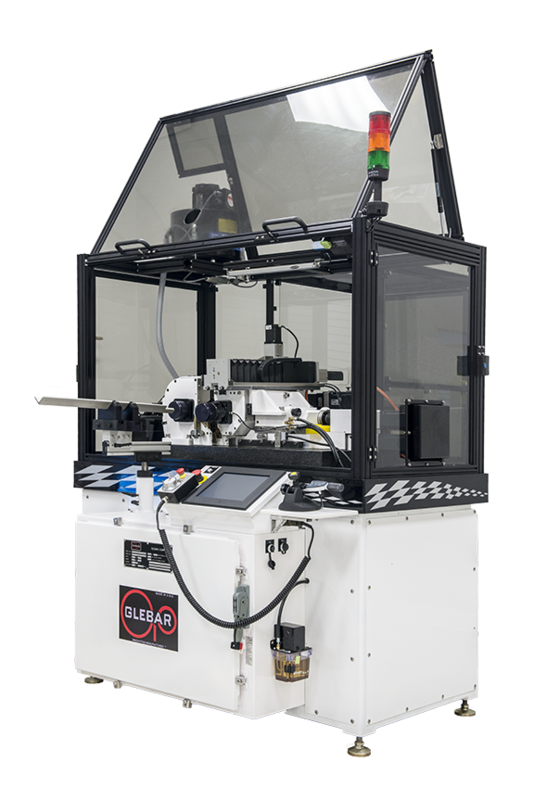 Wheel changeover on the GT-610 is 10 minutes rather than 4 hours and the cost of consumables is significantly lower, the Glebar exceeded customer’s expectations in throughput, quality and process capability.